The context of content marketing has changed over the decade. Though text is important, visual content shows an emerging paradigm for a successful social media plan. 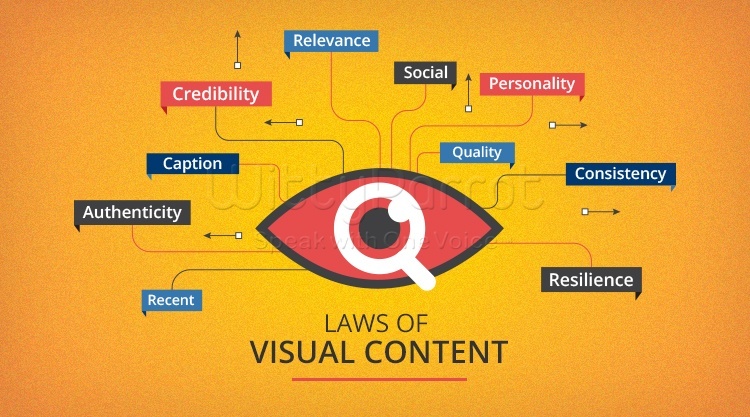 As 90% of information that enters the human brain is non-verbal, visual content should be considered as a powerful tool today. Considering the overwhelming impact, a company can utilize visuals to grab the attention of their target audience and market its products all across the globe at ease. Jeff Bullas is a social media marketing blogger, strategist & speaker. He is one of Forbes Top 10 social media influencers and he has been featured on WittyParrot’s 100 Content Marketers to Follow on Twitter. He helps companies and individuals flourish by optimizing their social channels and other technologies. As @jeffbullas is an excellent social media influencer and a guide, WittyParrot recommends all marketers to follow him on Twitter to gain valuable knowledge about social media. Posted in content marketing, Intelligent Content, Marketing.